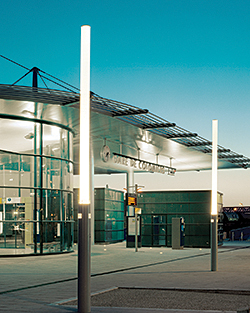 The Nemo Column LED provides an integrated aesthetic for facilities in urban environments. The lights are designed for public lighting or to illuminate roadways. They feature the Sealsafe® optical compartment and offer a tightness level that helps ensure they will stay clean inside and deliver long-term photometric performance.